We are pleased to feature a guest post by Susan Gravatt, Fourth-Year Media Studies major/Religious Studies minor and blogger for The Media Studies Experience. 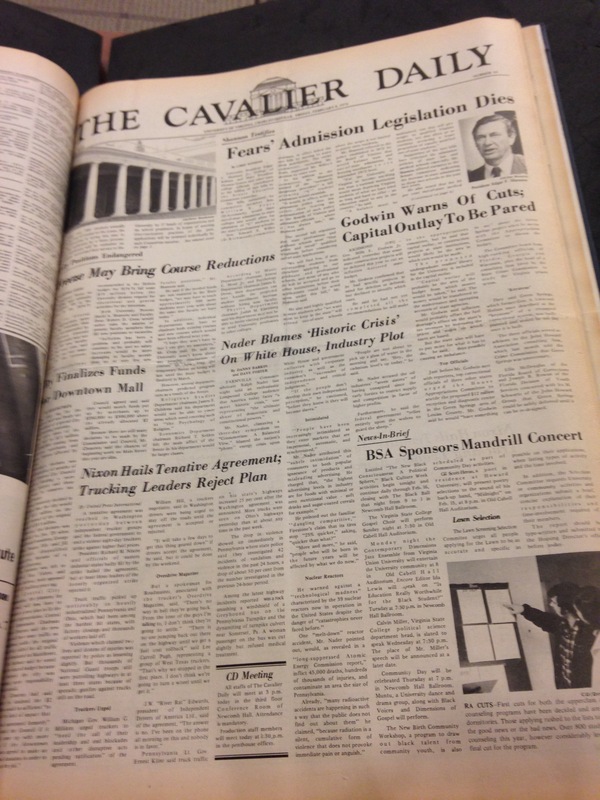 Turn back the clock 40 years, and an edition of The Cavalier Daily appears quite differently from the predominantly online publication that it is today. However, its attention to particular facets of student life is surprisingly similar. Diversity, a regular topic of discussion that I have heard throughout my four years at the University of Virginia, receives a handful of nods in a February edition of the student newspaper from 1974. I could have spent days mulling through the Special Collections archives of the newspaper that date back to the 1890s. However, I especially wanted to see the paper’s emphasis on race in the 1970s, since universities nationwide were still acclimating to integration. Since…. 1996, University minority percentages have stagnated. According to 2012-2013 statistics, 28.3 percent, or around 6,000, of the over 21,000 students that attend the University are minorities. This does not quite measure up to the around 36 percent of minorities that live in Virginia or the 37 percent of minorities that live in the U.S.” Although The Cavalier Daily is addressing concerns for not just blacks but all racial minorities, the paper’s writers continue to hope to educate and inform their fellow students regarding issues of race and what they mean for the entire University. 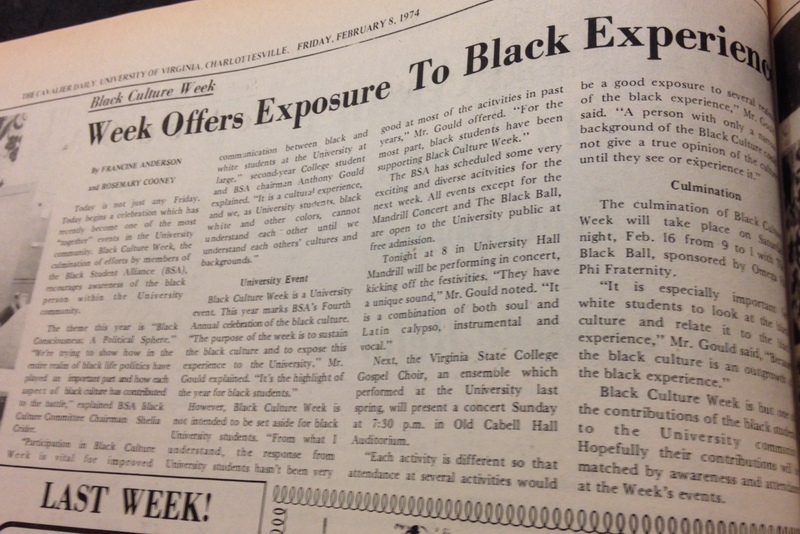 After flipping through the 1974 paper, though, I asked myself, “What happened to Black Culture Week?” As far as I could find from the BSA website, the University did not hold a similar event in 2014, though these festivities did take place last February. Do any readers recall Black Culture Week celebrations during the 1970s? How did they shape student life, for the week and beyond? This week we are pleased to feature a guest post by curatorial student assistant Elizabeth Ott, who has written an in-depth account of just one of the many wonderful books in our recently acquired Hobo Collection. Hats off to rare book cataloger Gayle Cooper, who brought to our attention the discrepancy between the two copies discussed here. Visitors to the Albert and Shirley Small Special Collections Library may find themselves pricking up their ears to catch the far-off, lonesome whistle of a nighttime freight train. 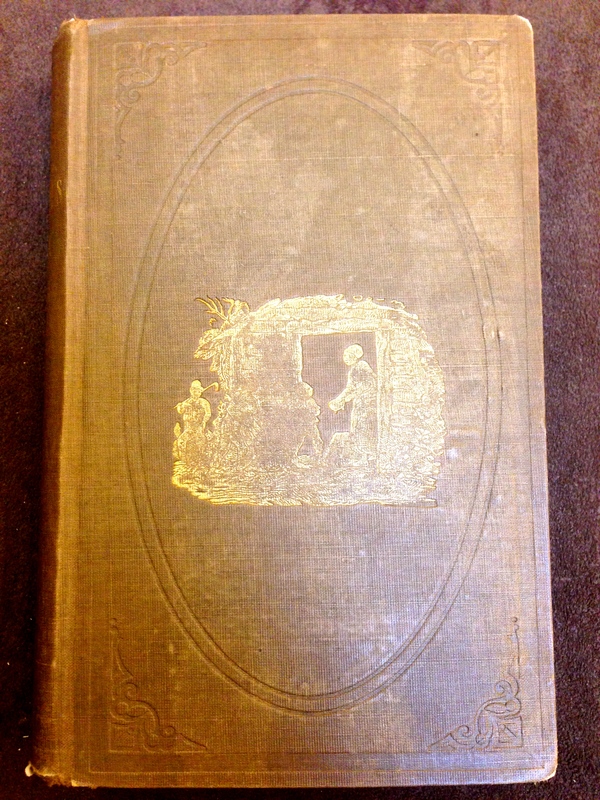 The occasion for these phantom whispers is the recent acquisition of the Hobo Collection, comprising 73 books and approximately 40 items of ephemera related to vagrancy, tramping, migrant workers, and hobo life in nineteenth and twentieth-century America. The collection spans more than 150 years and includes fiction, autobiography, pamphlets, periodicals, photographs, songbooks, and even cookbooks. Some of the highlights of the collection include early issues of the Hobo News, a first edition of Woody Guthrie’s fictionalized autobiography Bound for Glory (1943), and a run of the “A-no.1” series written by famous hobo “Rambler” Leon Ray Livingston. 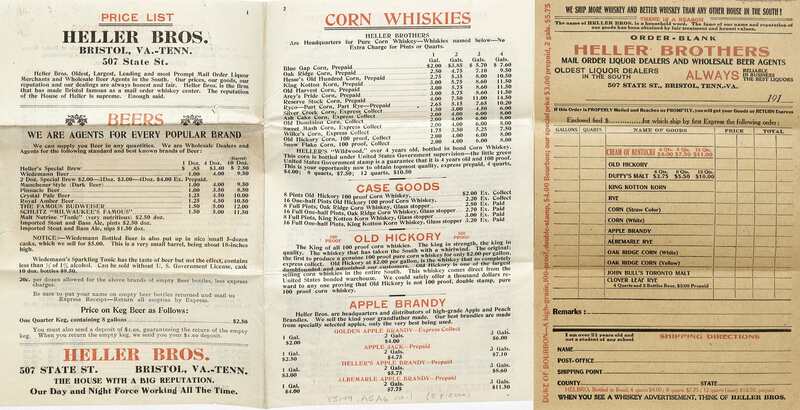 Among the many noteworthy items in this rich collection is a copy of the first American edition of West Virginia writer Tom Kromer’s 1935 novel-memoir Waiting for Nothing. Though never a runaway bestseller, Kromer’s hardboiled account of his years as a migrant laborer and itinerant bum was widely lauded for presenting a compelling and unsentimental portrait of hobo life during the Great Depression. Kromer wrote the bulk of the novel in 1933 while working for the Civilian Conservation Corps at Camp Murphy in Jupiter, Florida. 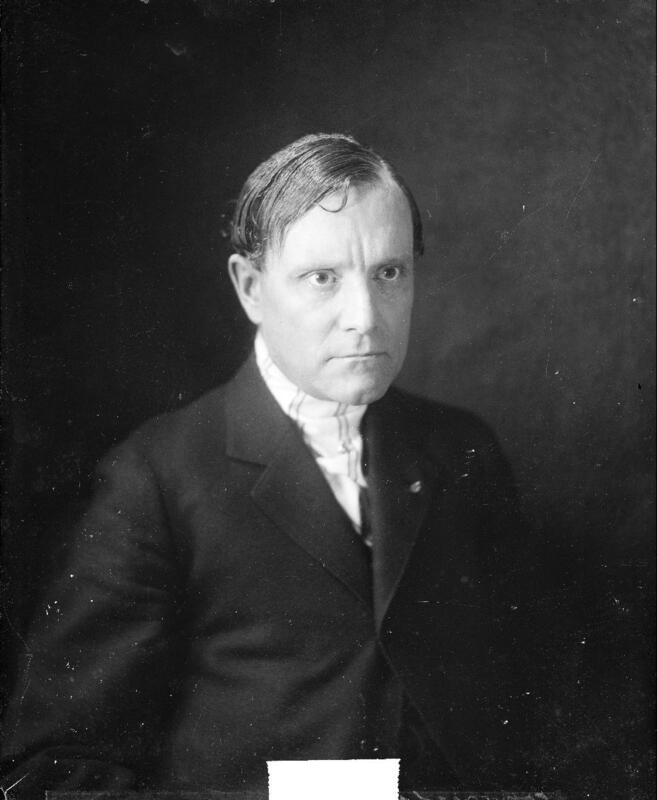 He initially struggled to interest a publisher in his manuscript, but gained the attention of the prominent journalist Lincoln Steffens, who encouraged him to pursue Max Lieber as a literary agent. Lieber quickly secured Alfred A. Knopf as publisher. Kromer became something of a critical darling. 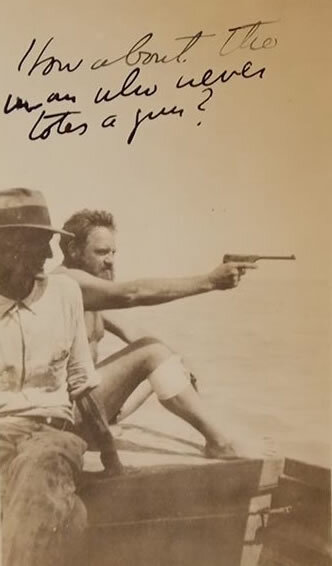 His clipped style and aggressive use of slang gained him a reputation as a street-smart Hemingway. Among those who championed the novel was Theodore Dreiser, whose novels Sister Carrie and Jennie Gerhardt, amongst others, explore similar themes of poverty, labor, and class relations. Dreiser was so taken with Kromer’s tale that he convinced his British publisher, Constable & Co., to undertake a British edition and agreed to write an introduction for it. 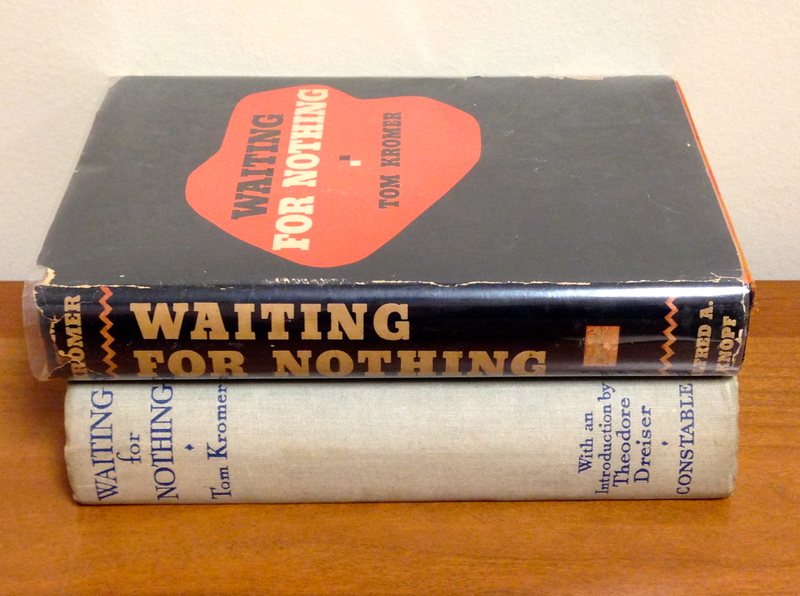 For many years, this British edition has been the only copy of Waiting for Nothing in Special Collections at U.Va. because of its association with Dreiser, a writer heavily represented in the Barrett Library of American Literature. Now that it is joined by its American counterpart, researchers will have a much more complete picture of the novel’s cultural significance. For while the American edition lacks the preface written by Dreiser, the British edition lacks the book’s entire fourth chapter. 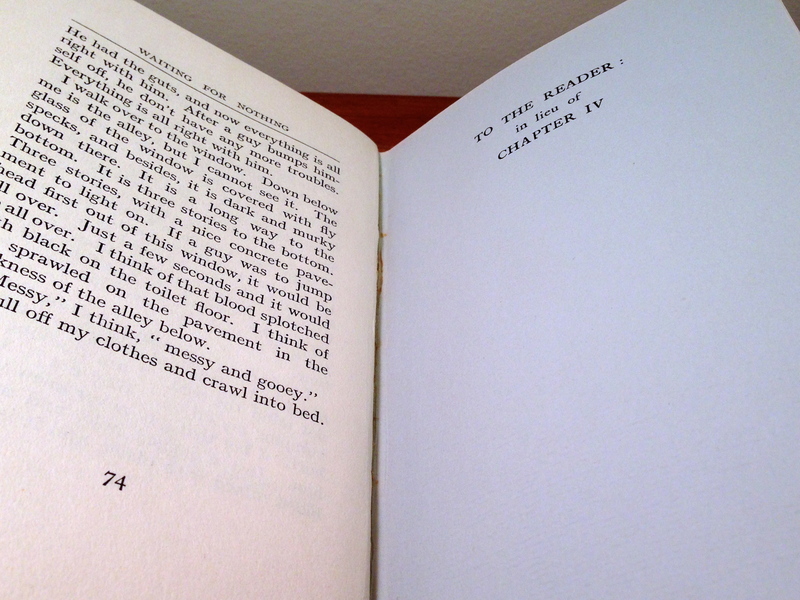 The page opening where chapter 4 is meant to appear in the first British printing of Waiting for Nothing (PS 3507 .R55 A165 .K7 1935, Clifton Waller Barrett Library of American Literature, Theodore Dreiser Collection. Photograph by Elizabeth Ott). He knows how I eat, but we are playing a game. 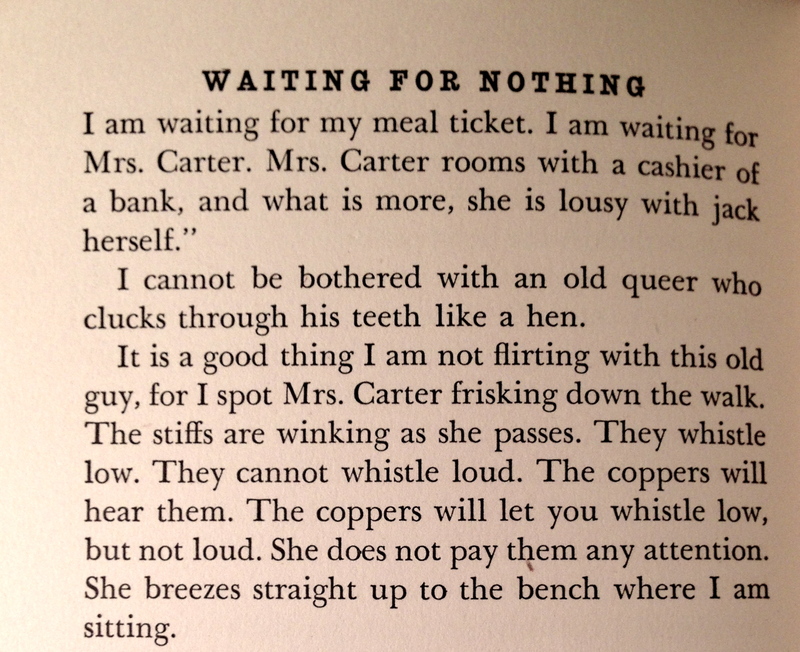 The selling point of Waiting for Nothing is that it illuminates the unsavory aspects of tramping—desperate men, degenerate women, seedy flophouses and near escapes from brutal coppers—without appearing sensational. It’s tricky to strike this balance; the material must contain calculated shocks without tipping over into sentiment and all the while the narrator must remain sympathetic, above the dirt and grime even as he wades through it. A passage from chapter 4, which appear in full in the American edition of Waiting for Nothing (PS 3521 .R57 W3 1935, Associates Endowment Fund. Photograph by Elizabeth Ott). “Did you make her?” This skinny stiff next to me at the counter says. “He queer, too,” I say. Kromer’s book is just one example of how the items in this collection will spark new conversations about life on the skids in the twentieth century. Top is the newly acquired American edition; below is the British edition with Dreiser’s introduction. We are pleased to feature a guest post by Emily Caldwell, Fourth-Year English major/Media Studies minor and blogger for The Media Studies Experience. 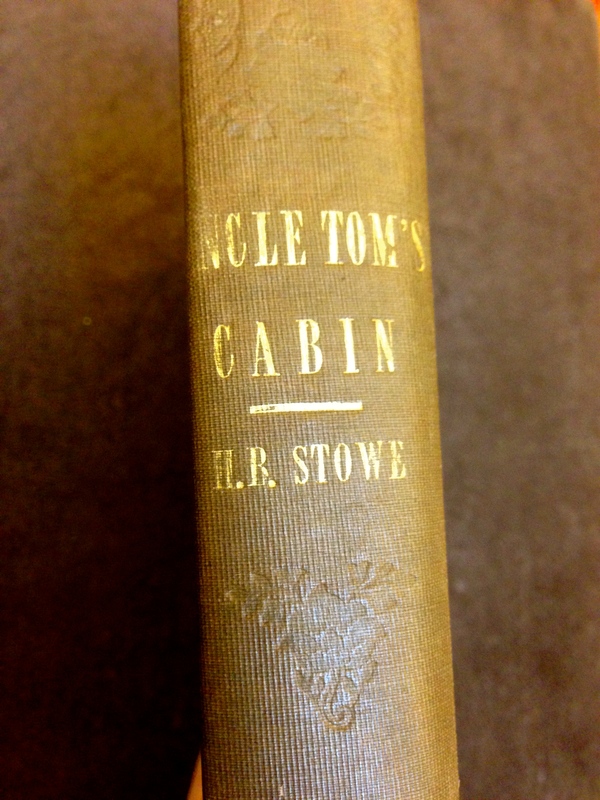 Although I have not spent an extensive time studying Uncle Tom’s Cabin throughout my academic career or my current course on the literature of the South, in the class, we briefly touched on the cultural significance this work had in sculpting the perception of race and racial relations in American society during the late nineteenth century. 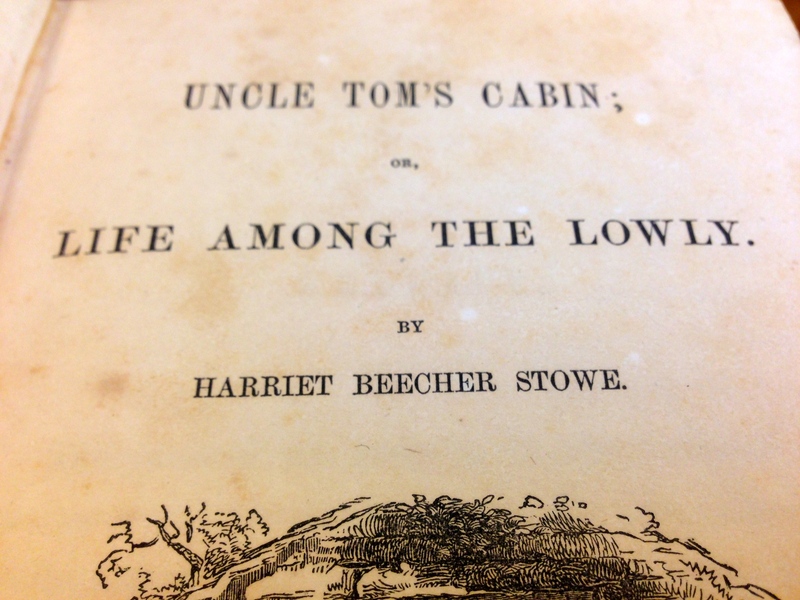 For those of you who are unfamiliar, Uncle Tom’s Cabin; or Life Among the Lowly is an American anti-slavery novel by Harriet Beecher Stowe published in 1852. And yes, I was lucky enough to hold a first edition. 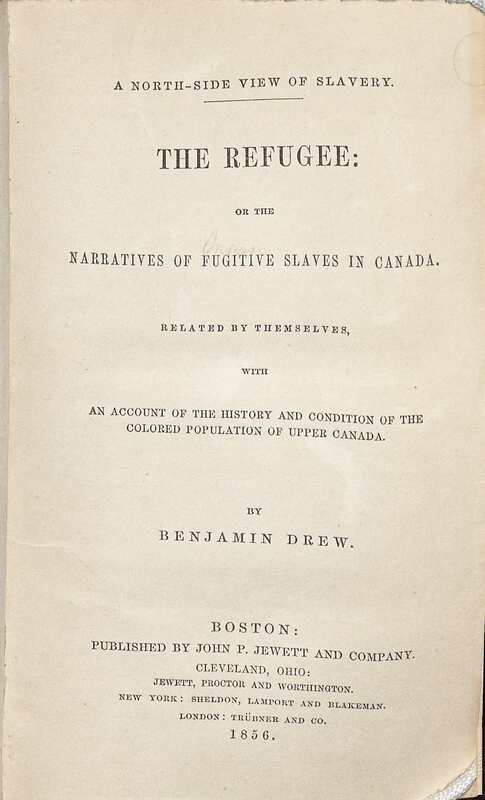 The novel was a best-selling book in the 19th-century and is credited with fueling the abolitionist movement in the United States throughout the 1850’s. Being the English Literature book nerd that I am, while I sat holding this text, I thought about how powerful a piece of literature can be as an agent of social change. However, as I looked through the crinkled and age-spotted pages, I noticed many startling passages. Since I’m currently studying Southern Literature, these classic examples racial discourses in America are fascinating to me, and I love studying how these perceptions have changed over time. 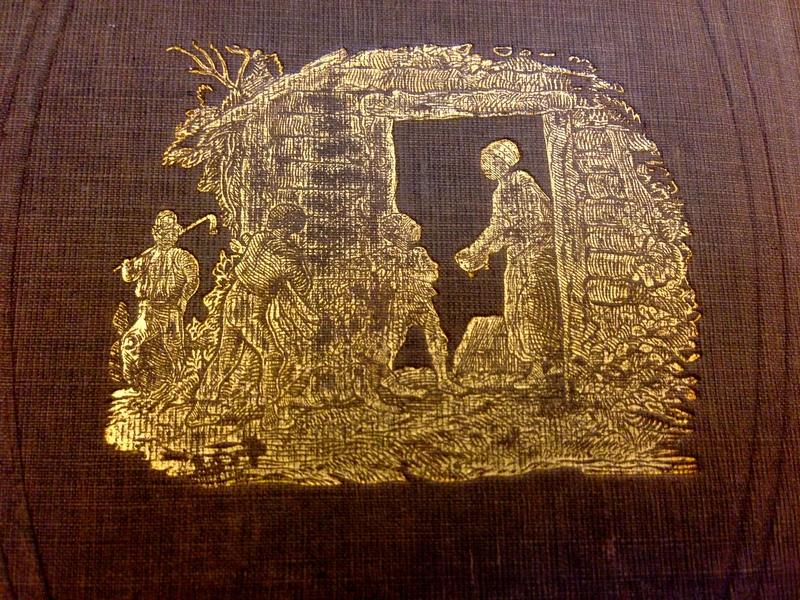 In the case of Uncle Tom’s Cabin, although the novel was meant to be a force for anti-slavery, itl unfortunately introduced and reinforced many black stereotypes including “mammy,” “pickaninny,” and even “Uncle Tom” himself, who is portrayed as the faithful servant who remains loyal to his master despite his endured suffering as a slave. The object of these sketches is to awaken sympathy and feeling for the African race, as they exist among us; to show their wrongs and sorrows, under a system so necessarily cruel and unjust as to defeat and do away the good effects of all that can be attempted for them, by their best friends, under it. I found it interesting that Stowe does not outright condemn the South for these wrongdoings, but instead said, “…Both North and South have been guilty before God; and the Christian church has a heavy account to answer.” Although these words may be familiar to those who have studied the text, it is the fact that this single book, the best-selling book, second only to the Bible when it was published, is a vehicle that planted the seeds for a great shift in American society change. Even Abraham Lincoln joked that Stowe and her revolutionary ideas fueled the Civil War. As a native Virginian (a designation some might argue today is not truly “southern”), I feel a sense of pride when it comes to where I come from. In my Southern Literature course, we discussed how there is almost a longing for an ideal south that was never really there. There is a sense of pride in what the south represents, yet also a sense of embarrassment and shame for what hateful crimes and prejudices its culture harbored in America. 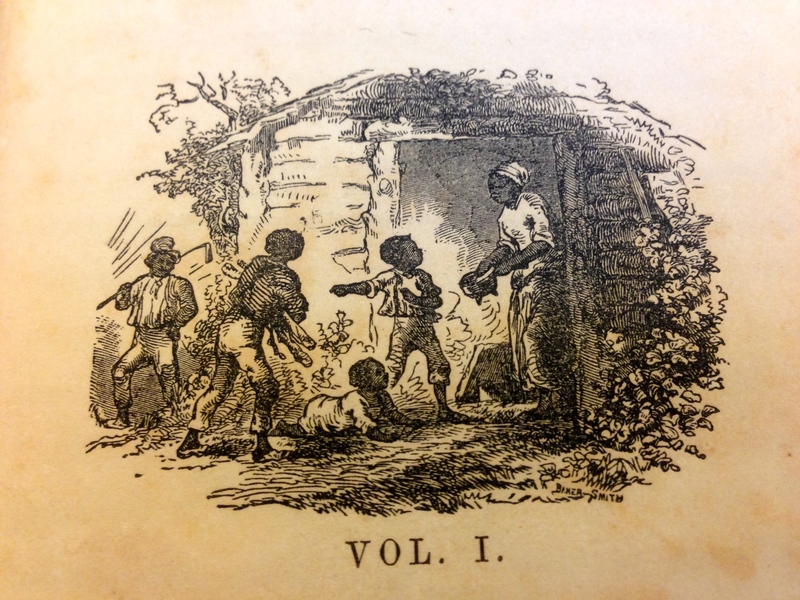 I believe that Uncle Tom’s Cabin is a prime example of cultural and literary history that not only began a discourse about the corrupted sociology of the South, but also reinforced disturbing, harmful and misrepresented stereotypes of African American culture that still resonate in our culture today. Although there are some aspects of our country’s history that we would rather overlook or erase altogether, they still compose our own American story. I feel honored as a student of U.Va. to have access to first-edition copies of some of the most influential texts in the English language and Southern Literature. Literature and physical books themselves are often overlooked as important agents of exchanged thoughts and ideologies, and I can’t help but wonder where our country would be without this and other published plantation tales. 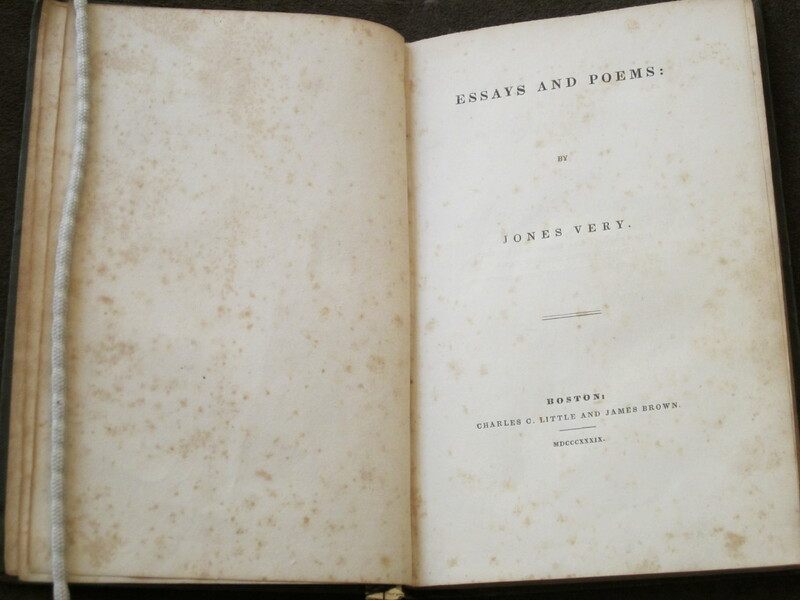 Jones Very was a nineteenth-century American poet, essayist, and spiritualist associated with Ralph Waldo Emerson and the Transcendentalist movement. Emerson found Very’s work to be admirable and did what he could to promote it, but Very, operating on an evolving belief that he was the Second Coming of Christ, put off many who found his work otherwise worthwhile. Very was briefly institutionalized, and when released, led a secluded life for the rest of his days. 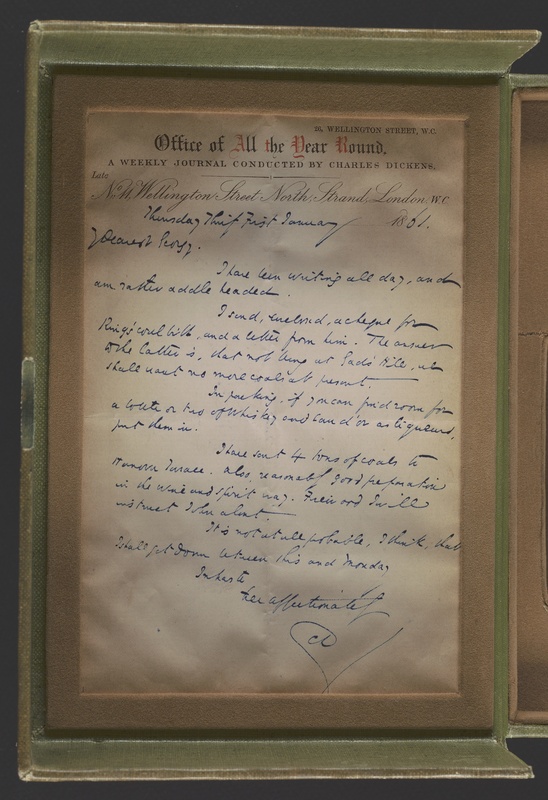 A search of the Library’s holdings shows five records, including three manuscript poems in his hand, several entries in contemporary periodicals, and his personal copy of Essays and Poems, dated 1839. 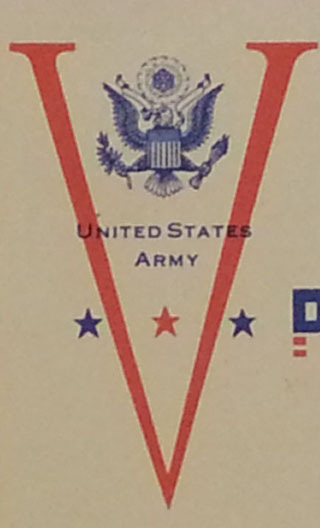 During World War II, the exchange of letters between soldiers and home was considered essential to morale. At the same time, massive quantities of war material and supplies had to be transported around the world by sea and sky. 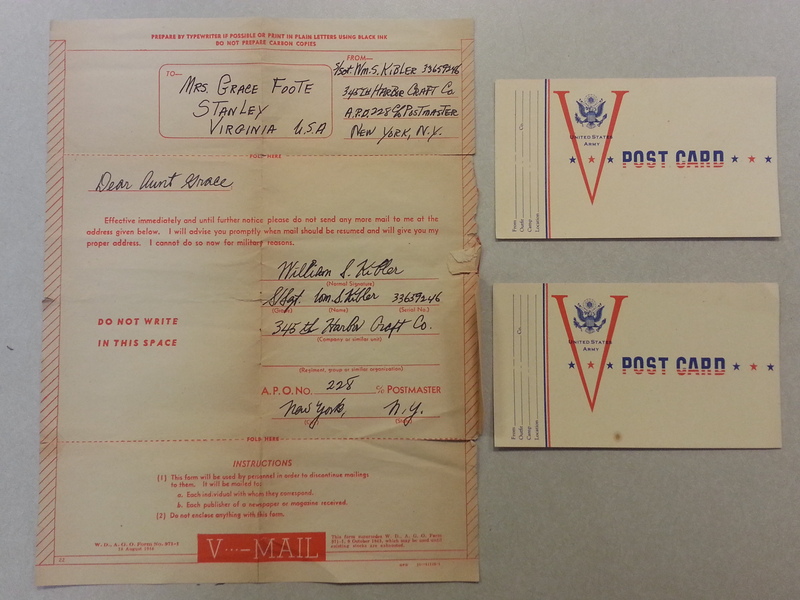 Special single-letter sheets were designed to be censored, microfilmed and then shipped back to the states. After transport overseas, the reels–each containing thousands of photographed letters–were then “blown up” at a processing center, printed, and delivered. 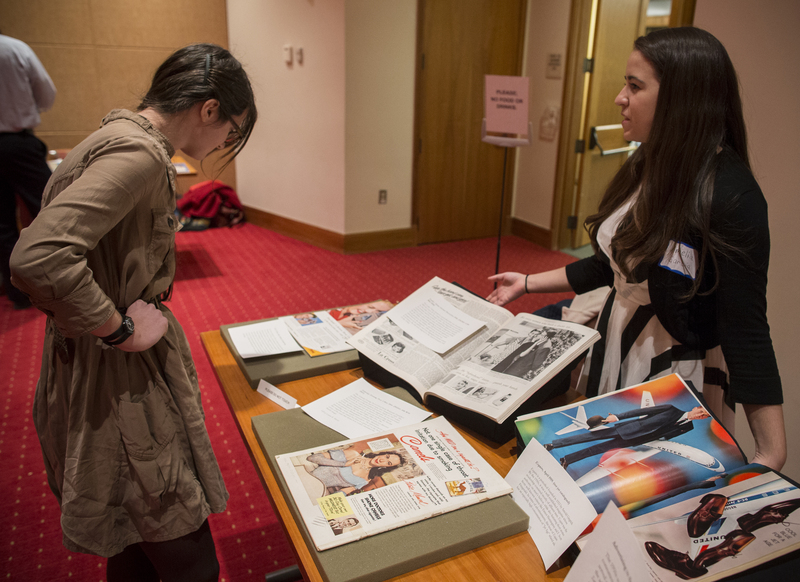 This is the first in a series of four posts, spotlighting the mini-exhibitions of students from USEM 1570: Researching History. Last fall semester, I had the pleasure of teaching USEM 1570: Researching History, a course I designed with the purpose of introducing undergraduates to the wonderful, yet painstaking world of primary source research. 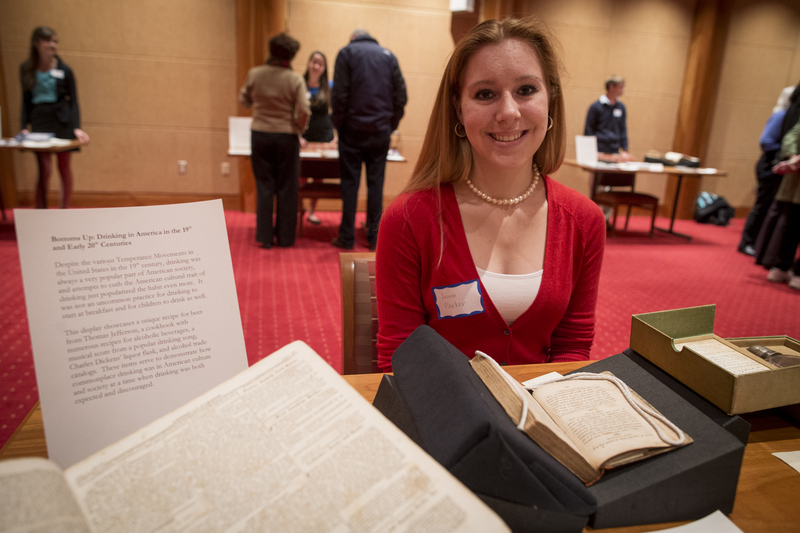 Sixteen undergraduates took on the challenge of the class and for a semester were immersed in searching for, finding, and evaluating the wealth of materials in Special Collections. Their final assignment was to create a mini-exhibition, telling a particular story with only five items of varying formats. 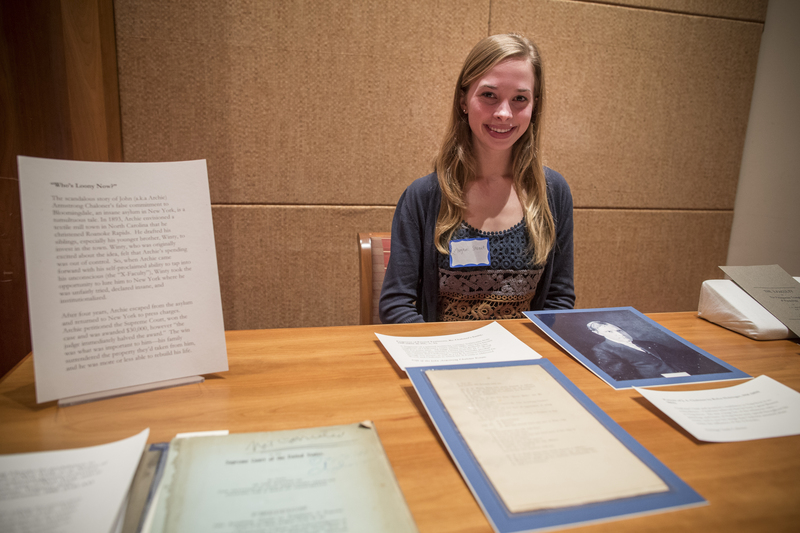 After creating the exhibitions, they presented them at their outreach program, Tales from Under Grounds. The program was a success! I wish everyone could have been there to see their great work. USEM student Adam Hawes does a practice presentation of his mini-exhibition as his classmates look on. For those who could not make it, I present to you the second best thing: Tales from Under Grounds in its abridged version as captured in each student’s own words. Note: only two selections per student are shown. Photograph of Jenna Parker by Sanjay Suchak, 19 November 2013. Despite the various Temperance Movements in the United States in the 19th century, drinking was always a very popular part of American society, and attempts to curb the American cultural trait of drinking just popularized the habit even more. It was not an uncommon practice for drinking to start at breakfast and for children to drink as well. This display showcases a unique recipe for beer from Thomas Jefferson, a cookbook with numerous recipes for alcoholic beverages, a musical score from a popular drinking song, Charles Dickens’ liquor flask, and alcohol trade catalogs. 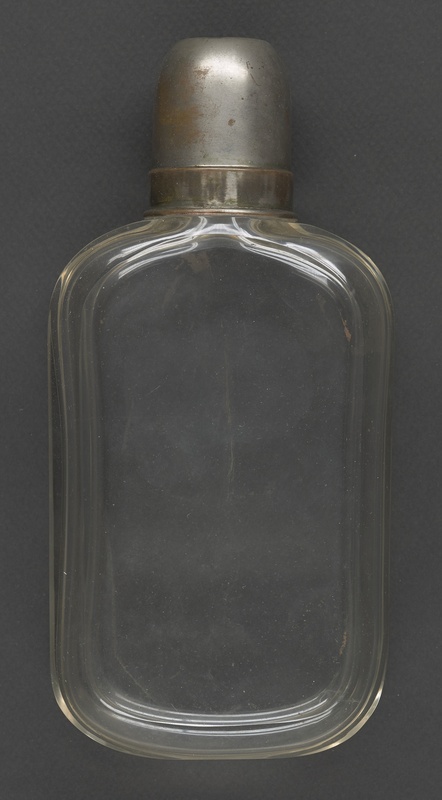 These items serve to demonstrate how commonplace drinking was in American culture and society at a time when drinking was both expected and discouraged. Photograph of Aaron Clyman by Sanjay Suchak, 19 November 2013. 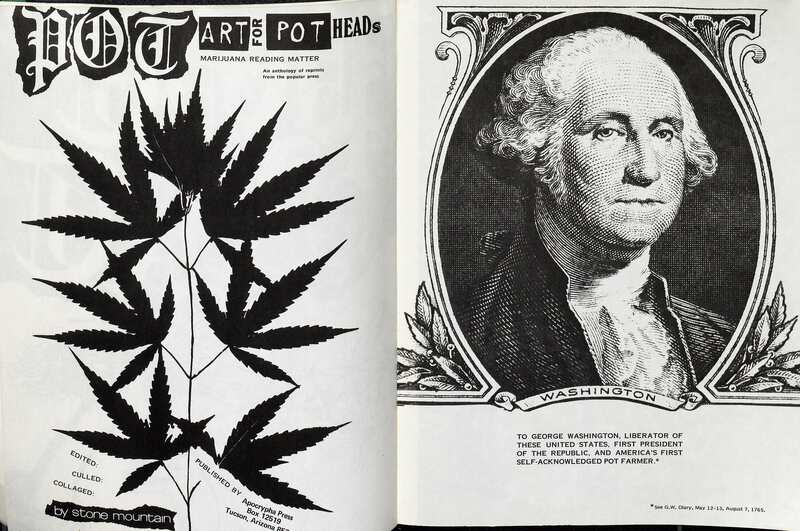 This exhibit focuses on the relationship between the United States and the plant cannabis. This includes, the more commonly known form, marijuana, and industrial hemp, which are quite different despite being legally lumped together. The majority of the items in the exhibit regard misinformation that the public has been given regarding this political issue. The main focus of these items should be the various scientific aspects because, as this is a highly factual issue, they must be held in the highest regard. Inside many items there are scientific studies, complete or partial, which have unanimous conclusions contrary to general notions on the matter. In this lies the true issue, people making decisions on misinformation, which inevitably leads to the misinformed policy seen today. 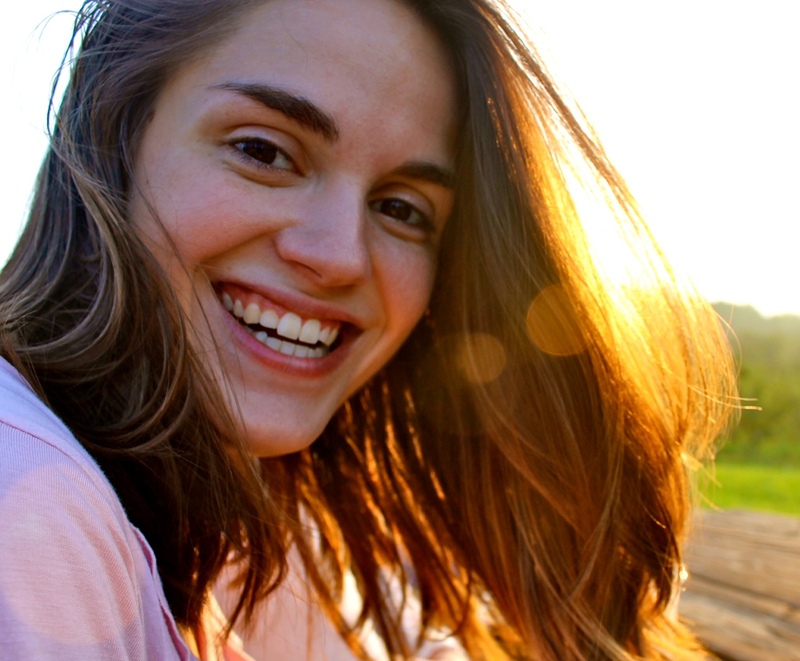 Photograph of Megan Strait by Sanjay Suchak, 19 November 2013. 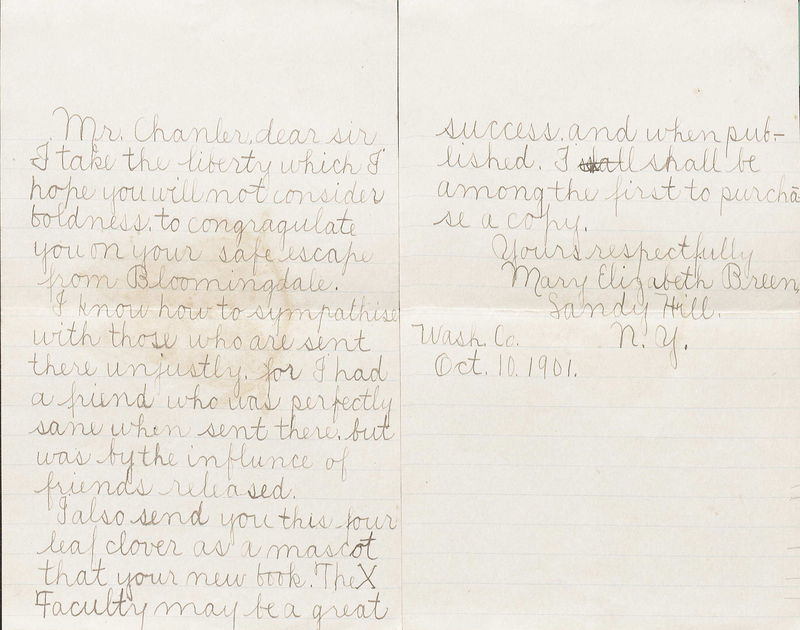 The scandalous story of John (a.k.a Archie) Armstrong Chaloner’s false commitment to Bloomingdale, an insane asylum in New York, is a tumultuous tale. In 1893, Archie envisioned a textile mill town in North Carolina that he christened Roanoke Rapids. He drafted his siblings, especially his younger brother, Winty, to invest in the town. Winty, who was originally excited about the idea, felt that Archie’s spending was out of control. So, when Archie came forward with his self-proclaimed ability to tap into his unconscious (the “X-Faculty”), Winty took the opportunity to lure him to New York where he was unfairly tried, declared insane, and institutionalized. After four years, Archie escaped from the asylum and returned to New York to press charges. Archie petitioned the Supreme Court, won the case and was awarded $30,000, however “the judge immediately halved the award.” The win was what was important to him—his family surrendered the property they’d taken from him, and he was more or less able to rebuild his life. The 1950s was characterized as the decade of consumerism as the prosperous postwar economy served as a hotbed for advertisers. Upon analyzing the advertisements showcased in Esquire, The Saturday Evening Post, Life, and Ladies’ Home Journal, one can get a sense for how idealized life was like in the 50s. Overlapping themes in these periodicals’ ads include: wholesome family values, established women’s roles, smoking popularity, and a fascination with air travel. The Media Studies Experience: Let the Experience Begin! When I received a message from VQR Web Editor Jane Friedman, inquiring if Special Collections would be interested in having a group of students from her spring semester Media Studies class, Digital Media and Publishing contribute content to our social media, I jumped at the chance. 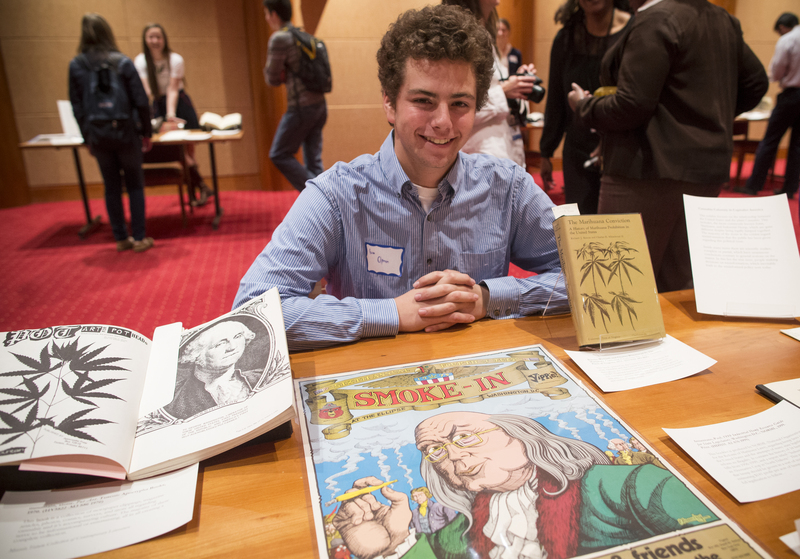 As a result, Special Collections has gained four enthusiastic, smart, and social media savvy undergraduates, who will share with you many of the fantastic finds they encounter while researching Under Grounds. 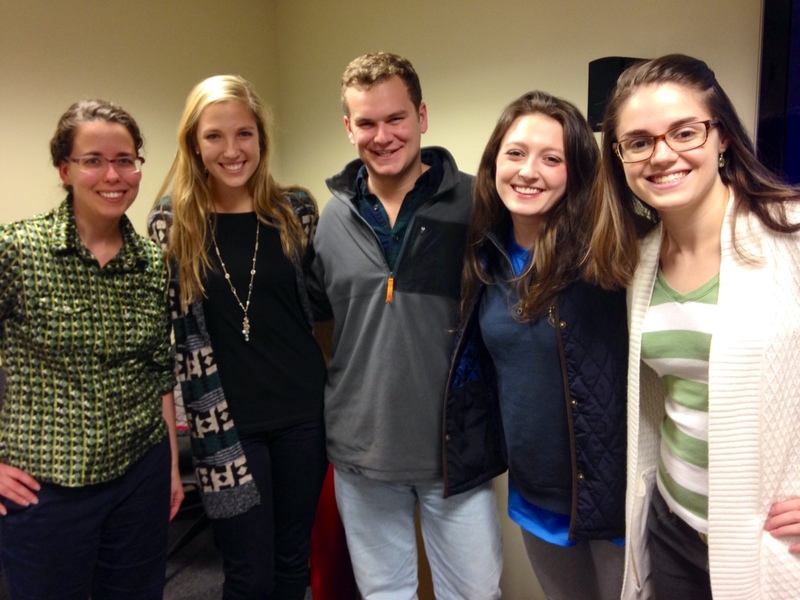 Pictured from left to right: Professor Jane Friedman, and students Emily Caldwell, Garrett Gottesman, Ali Sutherland, and Susan Gravatt. Allow them to introduce themselves! 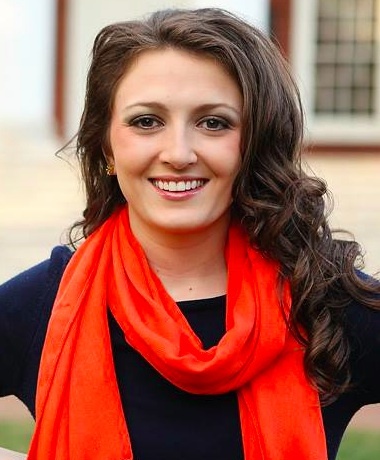 My name is Emily Caldwell, and I am a Fourth Year in the College of Arts and Sciences at the University of Virginia. I will graduate this May with a Bachelor of Arts in English and a Minor in Media Studies. Outside of my academic studies at the University, I am also a marketing and publicity intern at the University of Virginia Press and have worked there for about a year now. As a typical student with a Liberal Arts Major, I am still unsure of exactly where I will be or what I will be doing after graduation (if anyone is looking to hire an English major who is highly analytical with exceptional written and oral communication skills, let me know). In all seriousness, I am very interested in pursuing a career in the Media or Publishing Industries. I chose to be in the Special Collections group as part of a semester-long project for my digital media and publishing course because I believe this library, as a whole, is a buried treasure chest, so to speak. It is a resource “hidden” in plain view of U.Va. students, and therefore extremely underutilized. I would love to uncover some of many gems located at Special Collections and make them known to my fellow Wahoos with the hope that they, too, will fully take advantage of the rich history that U.Va. has to offer. As an English Literature/Book Nerd, I am most interested in delving into the University’s literary treasures. 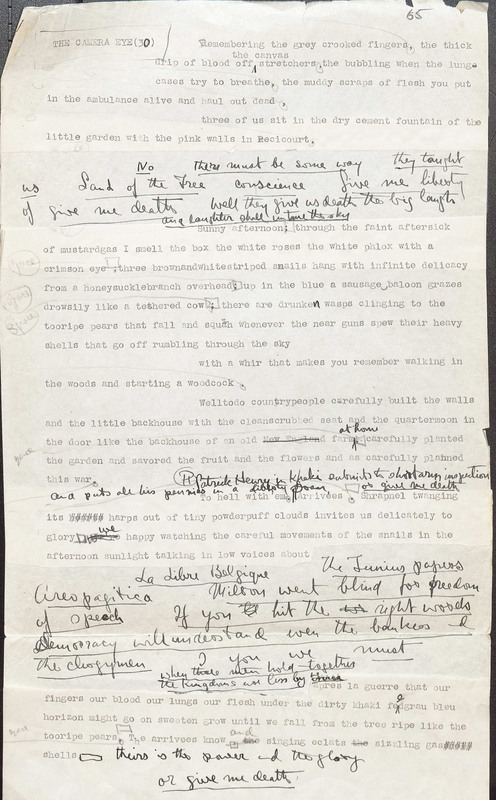 I want to examine everything from the papers of William Faulkner, my personal favorite writer, to Walt Whitman’s manuscripts. I am not only deeply fond of these historical texts as literature, but I am fascinated and intrigued by the physical representation of these artifacts and how they lend themselves as historical vehicles. However, on an even more personal level, I am a Virginian born and raised in Salem, which is about two hours southwest of Charlottesville. I have grown up learning the rich history of my native state, and it is one of the main reasons I chose to attend the University of Virginia. Although not all of the history of Virginia, or the University itself, is pretty or admirable, it is still my history, your history, here for us to discover. The ground we walk on at U.Va. is full of this history, and I mean that literally because a large part of the Special Collections Library is located underground. I look forward to unearthing everything beautiful, terrible, fascinating, honorable, and tragic that has made the University of Virginia the institution it is today. Photograph of Emily Caldwell, 2012. My name is Garrett Gottesman, and I am a Third Year at U.Va. I am currently double majoring in Media Studies and American Studies, in which I am pursuing a concentration in Social Reform. When I heard about the opportunity to do digital media publicity for the Special Collections Library, I knew that it was the perfect opportunity for me. Since being admitted to U.Va., I have been obsessed with its history. I am looking forward to looking at material culture from the University, and I am specifically interested in the Civil War, the Civil Rights Era, and modern pop culture as they pertain to U.Va. This obsession with U.Va. is somewhat ironic when you consider the fact that I am from Austin, Texas and grew up with no information about the University. As a proud Texan living in Virginia, I am currently learning what it means to have withdrawals from quality Tex-Mex and Barbecue. That being said, I am enjoying the chance to try out the local cuisine and remaining open to the idea that I may not move back to Texas immediately after graduation. Right now I am still juggling a million career ideas as I get closer and closer to my fourth year. However, my career choice of the week is to do Marketing and Communications for a global nonprofit. I love finding any excuse I can to help others even if it means annihilating what little free time I have. This is most true when my Madison House “little sib” convinces me to come help him with his math homework or when friends ask me to do favors for them. I know how to say no, but I prefer to instead just say yes and roll with it. I am a passionate explorer and have traveled to over thirty countries on six of seven continents around the world. My most recent adventure was on the 50th anniversary voyage of Semester at Sea which took me to 17 countries along the Atlantic Ocean in 115 days. I am obsessed with the movie Elf, and I could not live with out Swedish Fish. I also have the coolest dog in the world. He is a basset hound named Elvis. Here is the link to his facebook profile. 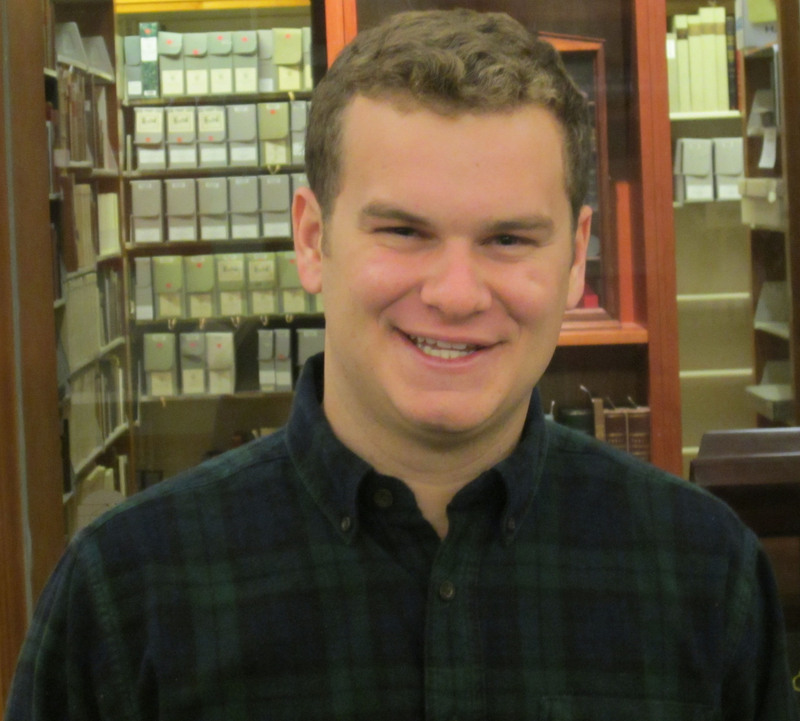 Garrett Gottesman in front of the Special Collections vault, 2014. (Photograph by Petrina Jackson). My name is Susan Gravatt, and I’m a Fourth Year Media Studies major and Religious Studies minor at the University of Virginia in the College of Arts & Sciences. Since my fourth semester at U.Va., I’ve worked at WTJU 91.1 FM in Charlottesville, Virginia, as an intern, producer, and now a co-host for the station’s public affairs program, Soundboard. I also work with U.Va.’s new student radio station, WTJX, and am an outreach coordinator who builds student involvement through our site, which you can find at: http://rotunda-radio.tumblr.com/. When I’m not at WTJU, you might find me practicing with U.Va.’s salsa club or University Baptist’s collegiate choir, Jubilate. After graduation, my biggest goal currently is to… have a job! I am currently embarking upon the Notorious Job Hunt and hope to find work in the Northern Virginia area or in Charlottesville. In a perfect world, I would continue to do some sort of creative work in the radio industry, but we will see where that takes me. Until graduation and the Real World, though, I am enjoying my final semester at U.Va. and looking forward to working in the Special Collection Library. After visiting it a few times as a First Year for a project, I realized how many treasures are buried here and wanted to share them with others online. In the coming weeks, I plan to explore and write about U.Va. and some of the lesser-known stories about Grounds. Keep checking back, as our team will be bringing you some pretty cool content and posts in the next few months! Note: Ali will be contributing to our social media via Twitter, Tumblr, and Instagram. Be sure to follow us and see what fun treasures she finds. Photograph of Ali Sutherland by Nicholle Goodnight, 2013. Look out for The Media Studies Experience coming at you all semester long! 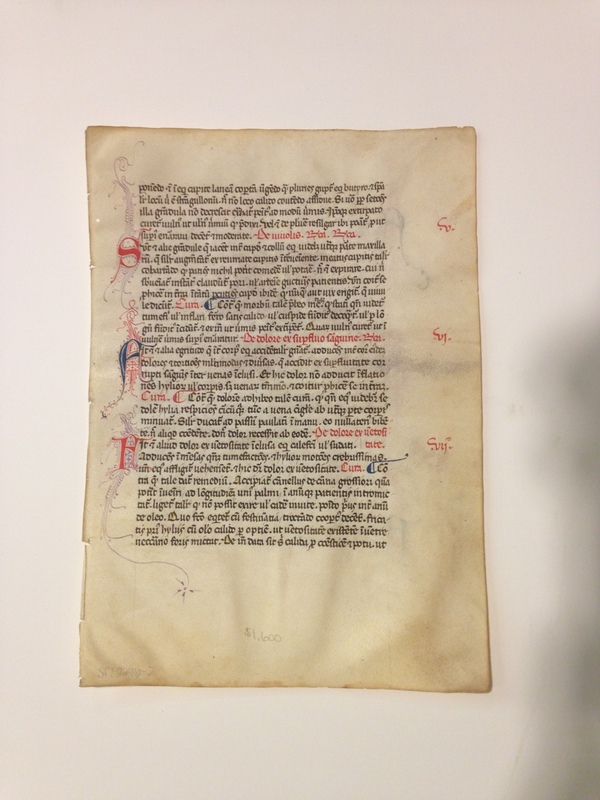 This week, we are pleased to feature a guest post by Special Collections Public Services Assistant Ethan King, who is studying for his M.A. in the U.Va. Department of English. A brash and turbulent man, a vigorous and luminous artist, Waldo Peirce was a striking figure, his imposing physique matching his powerful personality. 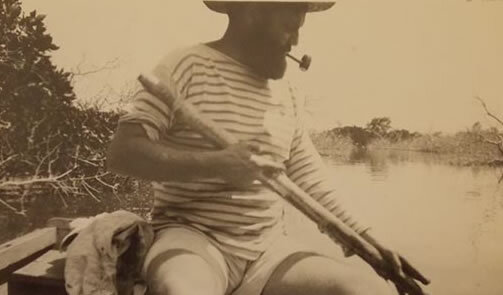 Husky, bearded, a football player, an actor, a fisherman, an aspiring poet, and a prolific painter, Waldo Peirce was a jack-of-all-trades, and he was able to rival his variegated skill-set with a penchant for captivating a room with lewd stories and with the formidable ardor with which he lived his life. Yet he has not attained the notability equal to his person and his work. After his dazzling canvases found their way into leading museums when he was a young man, his artistic successes began to wane. After his death, he was all but forgotten in the annals of art history, and he was similarly reduced to a mere colorful figure alongside his much more accomplished friends—Ernest Hemingway, John Dos Passos, James Joyce, and Gertrude Stein, among others. Peirce’s story is one of gruff eclecticism and shining vivacity in a burgeoning world of modernist art. One need only to rifle through his letters and his one published text, Unser Kent, to get a sense of this man and his life. 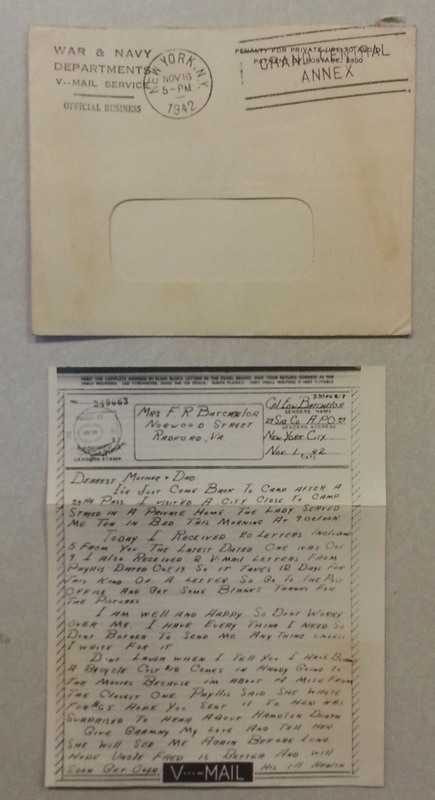 The Albert and Shirley Small Special Collections Library holds correspondence between Peirce and Harry Salpeter, an editor and writer for Esquire Magazine in the 1930s. Though the correspondence begins under the auspices of an article (“Rabelais in a Smock”) to be published in a July issue of the magazine in 1936, the letters reveal the evolution of an impersonal, working relationship into a genuine friendship in which Salpeter becomes for Peirce a family friend and a sort of artistic confidant. Stretching from the spring of 1936 to the fall of the same year, these letters highlight Peirce’s episodic life, his artistic vision, and his bawdy poetry. Peirce begins his correspondence with Salpeter by sharing various anecdotes from his life abroad, writing in a strong but fluid style, evocative of the way he could control a room. These anecdotes range in topic from his brief acting career in a Tex Ingram film, for which he was paid in lobster; baseball and football games between his team of painters and sculptors and a team of “jockeys, international crooks, barflies etc” (TLS, 4 May 1936); his capture of a giant sea turtle with Ernest Hemingway during one of their fishing trips in Key West; his trading of girlfriends with John Reed, the American communist activist; and his inspiring a story of Hemingway’s by “grabb[ing] a town pimp by the ear,” and using the man’s body as a weapon (TLS, 25 April 1936). Reflecting upon these anecdotes, Peirce writes, “These episodes are all pretty good stories in themselves rather than just references to the eccentricity of the artist as a young man etc.. they are much more fun to live than to write hence it usually takes an outsider to do the chronicling etc” (TLS, 2 May 1936). In having Salpeter compile these stories, Peirce allows him to have control over the framing of the article, abdicating himself of biased narrativization. He writes, “I hope I dont appear as one of those .. ‘Go ahead and write yr own stuff’ etc and then begin to carp later. After all youre writing for the oaf publico and if you msut seperate the chafe from the groin etc give em the groin every time” (TLS, 29 April 1936). This last quotation reveals not only his unabashed deferral of authorial control to Salpeter and his ribald humor, but also his characteristic writing style—rife with ellipses, et ceteras, misspellings, and lack of punctuation. Peirce champions this style as an almost Joycean linguistic play: “God knows how many mistakes in spelling I make.. especially on the machine.. where I don’t aleays hit the right letter. Sometimes fine new words are born this way” (TLS, 29 April 1936). This type of organic and creative spontaneity bleeds into his work. Often ending his letters, “I must quit and get to work,” a refrain that attests to his artistic diligence (TLS, 19 June 36), Peirce exemplifies the artist working in the throes of passion, constantly working himself into a frenzied rhythm more in the manner of Van Gogh than of Cézanne. His spontaneous retreats into his studio produced an incredible breadth of Impressionist paintings, whose subjects varied from sensuously colored landscapes to captivating sweeps of ordinary life. The circulation of his artwork was equally impulsive, as he would consistently shed his paintings and sketches wherever he went, giving them to friends, family, and acquaintances, and even one time burning them. Special Collections houses two stunning original watercolors of Peirce’s, which belonged to his friend John Dos Passos. However, the only poetry he seems to have shared with Salpeter is Peirce’s translation of Baudelaire. Yet in this moment, Peirce exhibits an intimate vulnerability and self-deprecation regarding his writing. 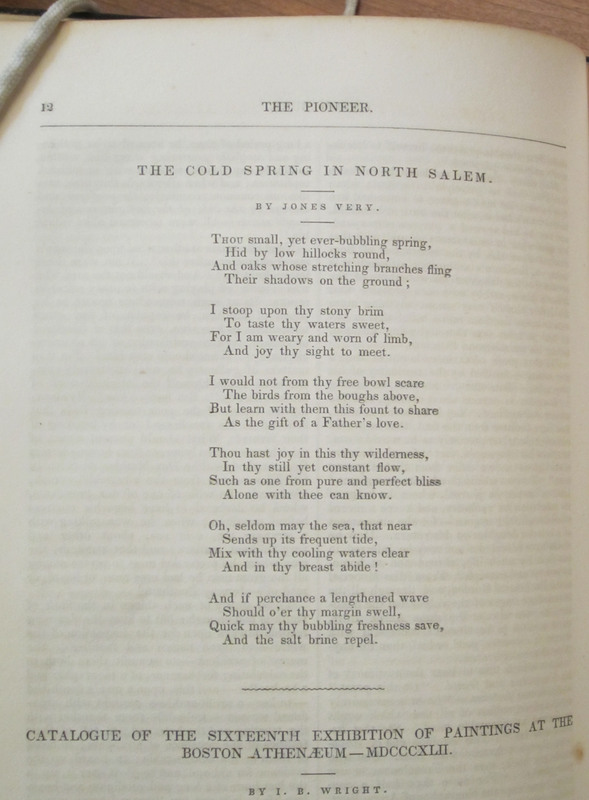 Who knows, then, if Peirce’s inability to publish another poem or book of poems was a result of their lewd content or of his anxieties about publishing personal material. 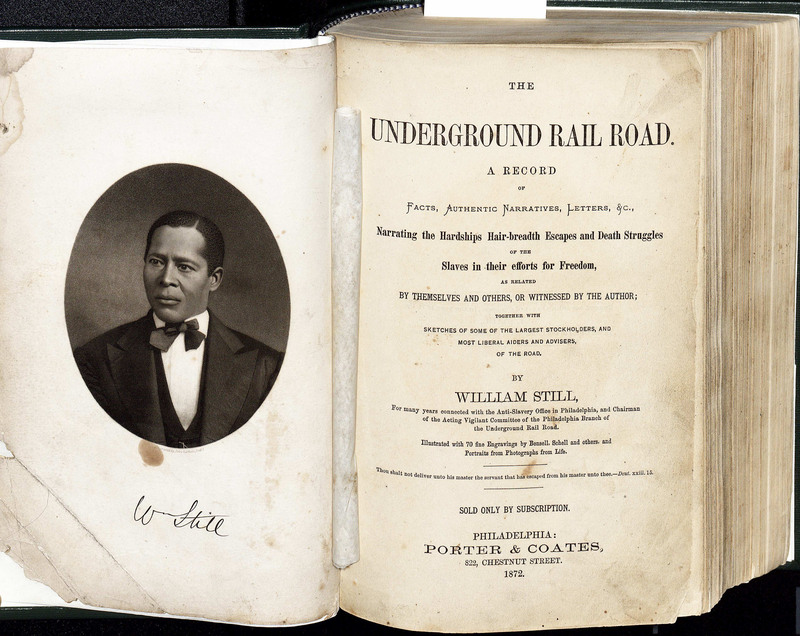 The Underground Railroad was the name given to the network of safe houses, routes, and methods established by abolitionists, white and black, to aid slaves in escaping from the South. Conductors would guide their passengers from station to station with the goal of delivering them safely to free states in the North or to Canada. 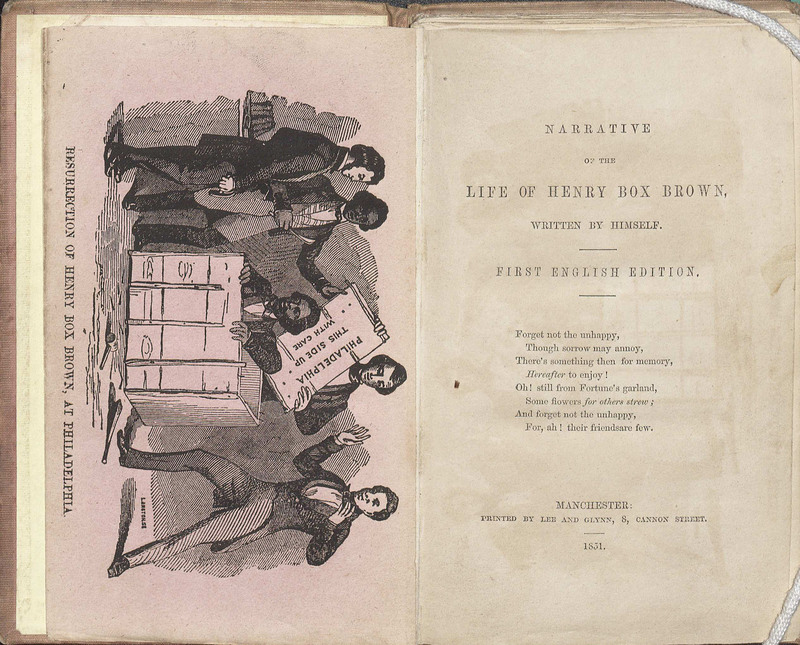 Although the number of slaves who escaped by these routes was never large, the more dramatic escapes—such as that of Henry “Box” Brown— were widely publicized and had a powerful psychological impact in both North and South. Special Collections has been very lucky over the years in the quality and quantity of the gifts it has received from many generous donors. But sometimes both unexpected and unintentional gifts have livened up the process of organizing manuscript collections. This mummified skink was discovered among the Mosby Perrow Papers and became the unofficial mascot of the processing section for a few years until given his own manuscript number in preparation for the Big Move into our new building in 2004. A successful poet, essayist, editor, critic, and television contestant, (What’s My Line? 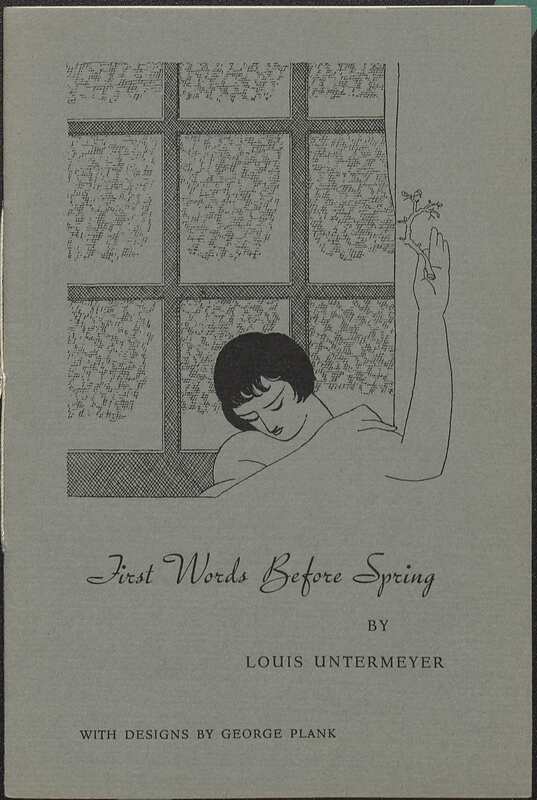 ), Louis Untermeyer was also a prolific anthologist who brought contemporary poetry to millions of students and lovers of poetry. Untermeyer was named the fourteenth Poet Laureate Consultant in Poetry to the Library of Congress in 1961 and was friends with many contemporary poets, including and especially, Robert Frost. 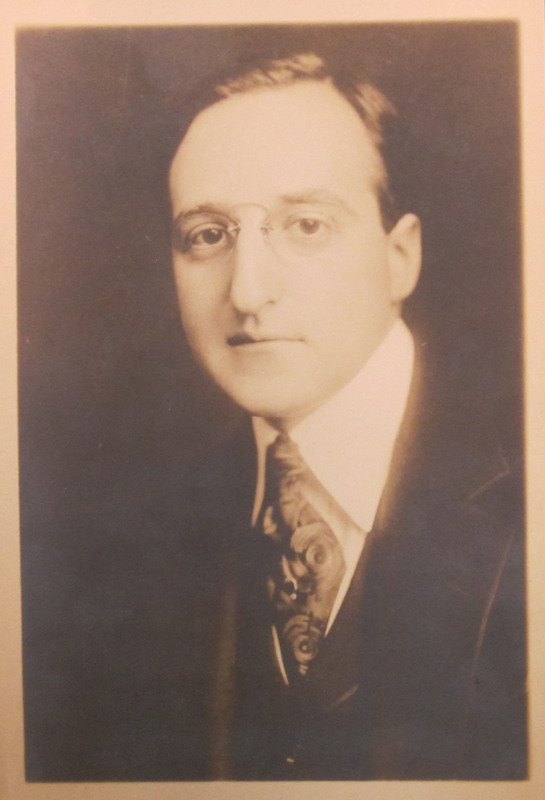 A search of our online catalog shows just over 100 entries for Louis Untermeyer. 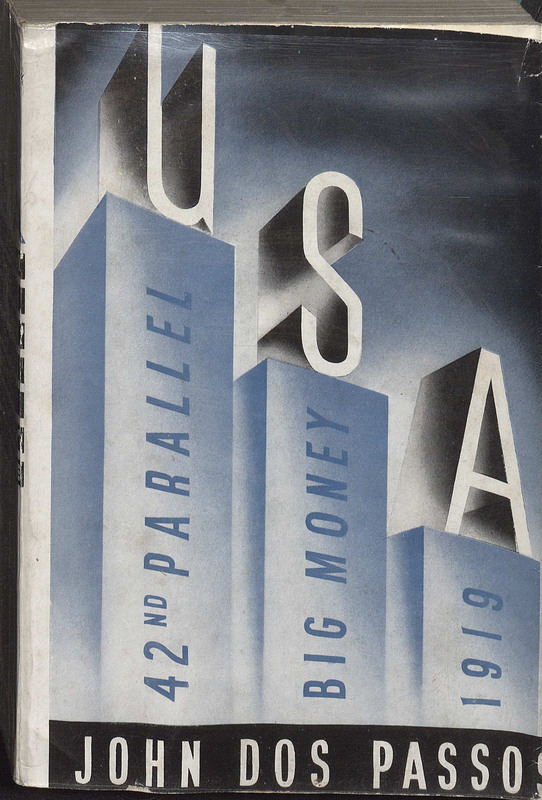 The USA trilogy by John Dos Passos is comprised of the novels The 42nd Parallel (1930); 1919 (1932); and The Big Money (1936). 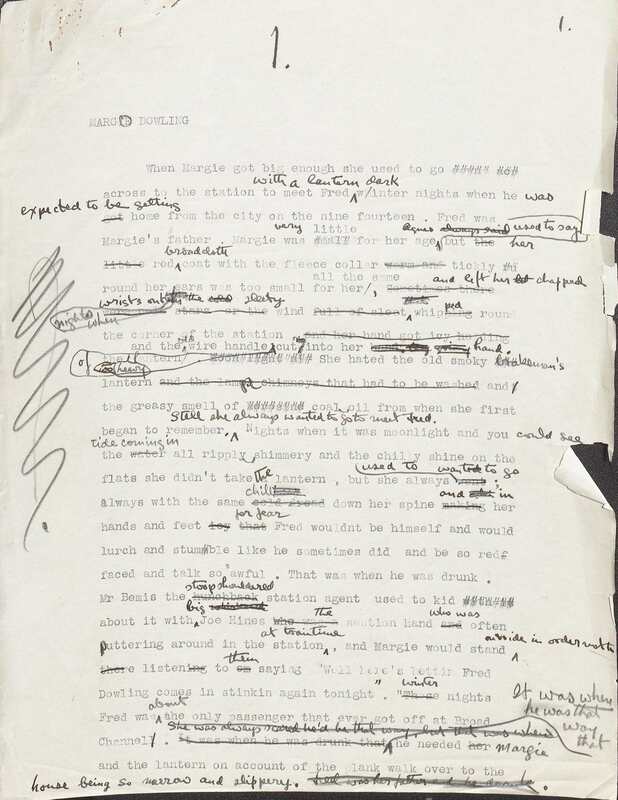 Dos Passos used experimental modes of narration including free indirect discourse; stream of consciousness in the sections called “The Camera Eye”; newspaper headlines and article fragments combined with song lyrics in the “Newsreels” sections; and short biographies of historical figures to present a sweeping view of American society in the first decades of the 20th century. The novels reflect Dos Passos’s growing pessimism about political, social, and economic conditions in the United States during the Great Depression. 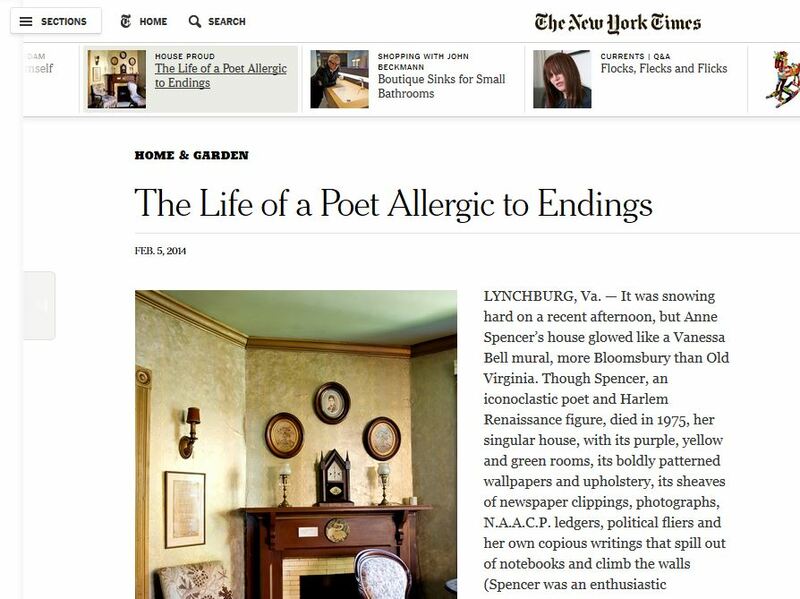 Today’s New York Times Home & Garden section features a marvelous article and slide show about the historic Lynchburg home of the Harlem Renaissance poet Anne Spencer, whose papers reside here in Special Collections. The slide show gives glimpses of Spencer’s distinctive modernist decorating style, her husband’s DIY projects, and their granddaughter’s recent work to restore the house. Don’t miss the image in the article showing how Spencer painted poetry on the walls of her kitchen. The house is also featured on the cover of this year’s printed guide to Historic Garden Week, a state-wide annual event. Notably, this is the first time that an African-American garden has been featured on the cover of this guide. We think this is a fitting event to celebrate today in particular, February 6. It was on this date in 1882 that the poet was born. Happy Birthday, Anne Spencer! It has long been, and remains, a frequent practice among book and print dealers to break up color plate books—especially imperfect copies—and sell the plates individually, with the text often discarded. Although this practice has effectively placed John James Audubon’s spectacular double elephant folio Birds of America on the endangered editions list, how else could one hope to possess one of its hand-colored engravings? Some might cast a kinder eye on the bookseller Gabriel Wells, who in 1921 broke up a modestly imperfect copy of the Gutenberg Bible, selling the nearly six hundred leaves individually or in sections, tipped into a specially published “leaf book.” Thanks to Wells, dozens of educational institutions worldwide have been able to acquire Gutenberg leaves for instruction and exhibition (U.Va. owns two at present). 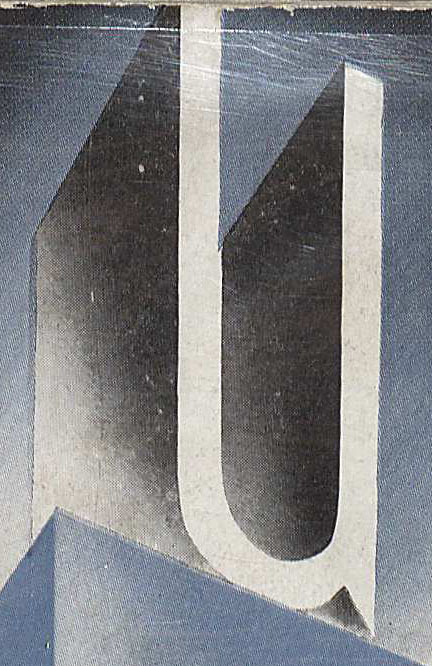 And by breaking up dozens of imperfect copies, some significant and valuable, U.Va.’s Rare Book School has created an extraordinary teaching resource for the history of book illustration and typography that has been used by several thousand students to date. Perhaps nowhere has the practice of breaking been more fraught than in the realm of medieval manuscripts. In the last century alone, hundreds of medieval codices (especially Books of Hours) have been broken up, with the illuminated and more highly decorated leaves sold as works of art, some of the remaining leaves repurposed as specimens in paleography study collections (such as Special Collections’ Rosenthal Medieval Manuscript Collection), and others turned into collectibles or simply discarded. 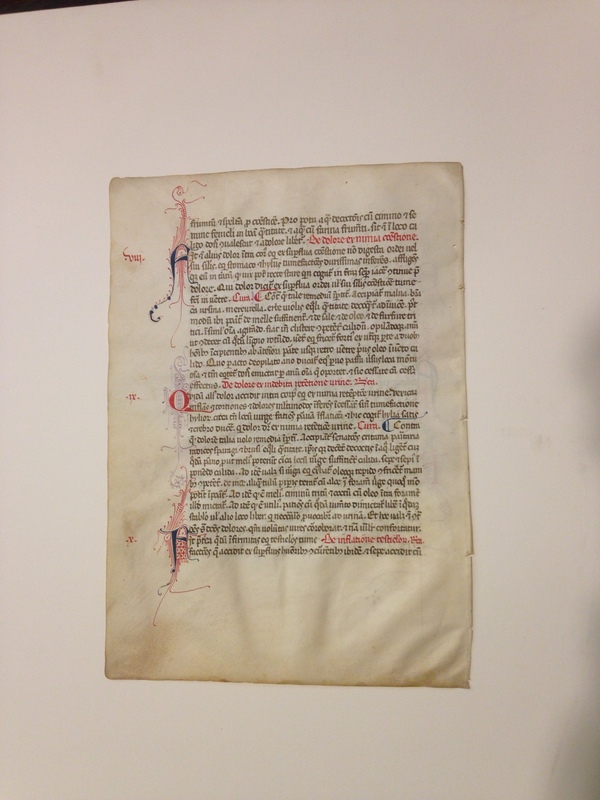 Consider Special Collections’ most recent medieval manuscript acquisition: six finely rubricated vellum leaves from a mid-14th century Latin manuscript, written in Italy, of Giordano Ruffo’s De Medicina Equorum, a treatise on the care of horses originally composed in the 13th century. 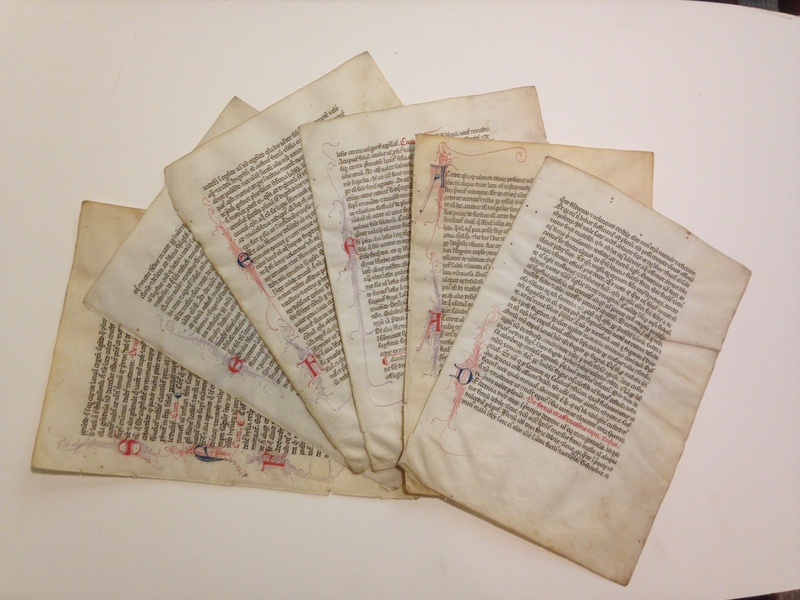 Secular manuscripts on such topics from the medieval period are of great rarity—indeed, a survey conducted fifty years ago located only 21 manuscript copies of Ruffo’s text, all in European libraries—and we jumped at the opportunity to add these leaves to our Marion duPont Scott Sporting Collection. Here is what we know about their provenance. 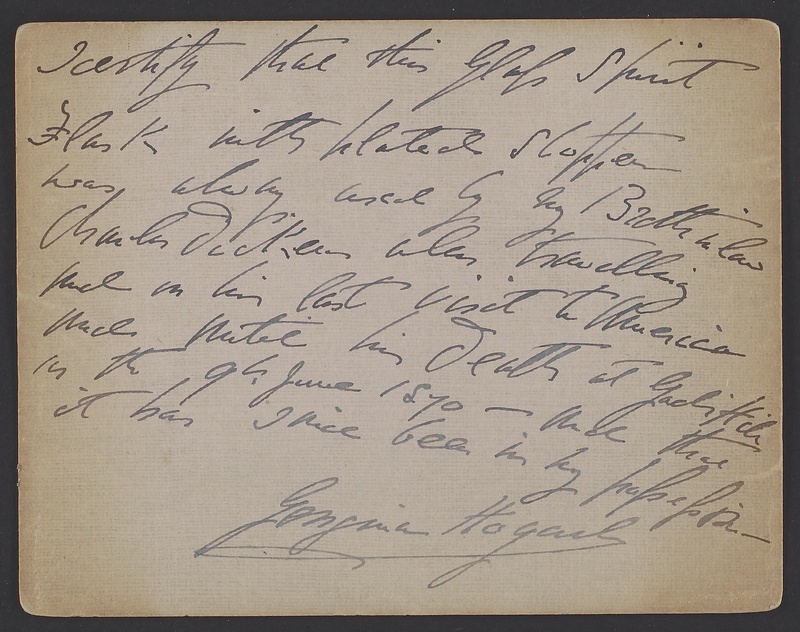 In December 2011, 21 leaves from an imperfect copy of Ruffo’s manuscript were offered at a Sotheby’s auction in London. The leaves went unsold but were bought privately following the auction. This past fall we learned of the manuscript when an American bookseller’s catalog, in which eight of the leaves were offered, arrived in the mail. We promptly placed an order for all eight leaves, but two had already been sold. 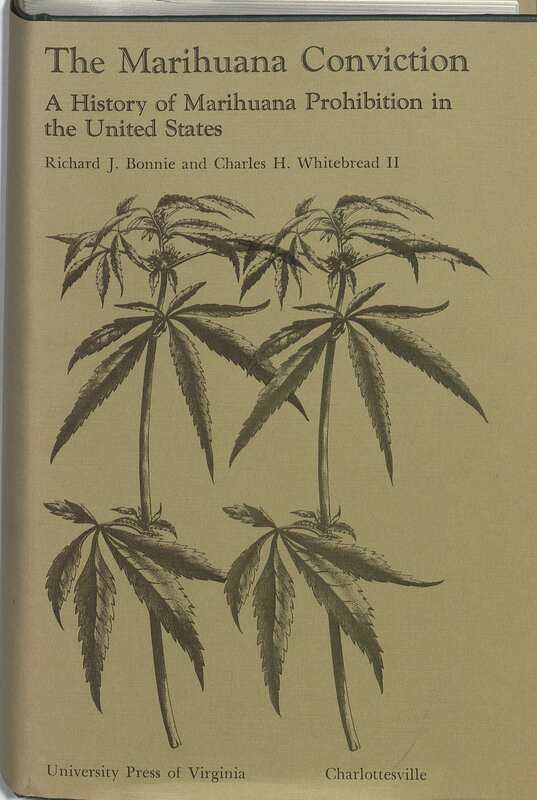 The bookseller subsequently reported that he had originally acquired 11 of the 21 leaves, three of which were sold to two different American research libraries, and two to private collectors in the U.S. and Europe, before U.Va. bought the remaining six. Eleven leaves, five new owners on two continents, with ten leaves still unaccounted for. U.Va.’s interest is primarily in the text, given our extensive holdings on the horse and equestrian sports, though the leaves will also be quite useful for research and instruction in the medieval book, paleography, &c. The other institutional and private collectors presumably were more interested in the leaves as paleographical specimens. All parties have benefited from these transactions: the booksellers made money, and the five new owners have acquired useful materials for their collections. But what of the manuscript itself? Any attempt to study the text and its relation to other exemplars has been seriously, perhaps fatally, compromised. (Fortunately, the bookseller kindly sent us study images of the five leaves we missed.) This is a chronic dilemma for any researcher using medieval manuscripts as primary sources. Various efforts are under way to reunite dispersed manuscripts virtually—Manuscriptlink (to which U.Va. intends to contribute its six Ruffo leaves), a project based at the University of South Carolina, is but one example. But these initiatives are unlikely to redress more than a small fraction of the losses already sustained, and still to come. And digital images—it bears constant repeating—can never supersede access to the original artifact.